With hundreds of registered cycling clubs holding regular events around the country, there is no shortage of bike racing competitions in Australia. Bike racing brings out everyone’s competitive side but more importantly it’s a great way to meet and make new friends. Bike racing, however, differs greatly from recreational biking. Bike racing requires discipline and training. If you’re interested to join a club or participate in a race, but don’t know where to start, then here are some tips and suggestions. Road racing events are hosted in open, partially-closed, or fully-closed public roads with or without traffic safety measures. They may take the form of a point-to-point race, a multi-day race completed in stages/criterions, or time-trial competitions. Formal road racing is a team sport, for example, the Australian Cycling Team who compete internationally. Casual road racing events, like Loop the Lake, are not team events. We would recommend a road race competition for those wanting to start out. Track racing is held in a velodrome, a special steeply sloped track that’s made of cement or wood, surrounded by stadium seating for spectators. Most velodromes in Australia are an average of 250m – 333m but there are also larger 165m and 500m velodromes. Mountain bike racing involves rougher and tougher terrains. No longer taking place on roads or smooth tracks, mountain bike racing engages with natural and rocky terrain. 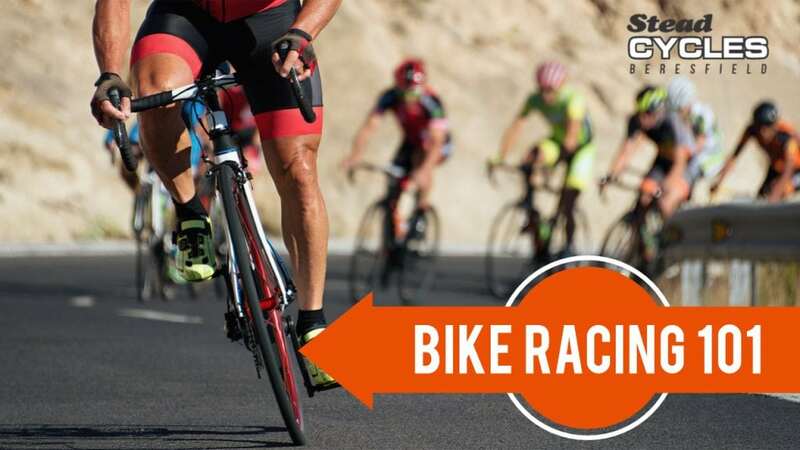 While the two types of races mentioned above are about speed and teamwork, this competition tests the bike and the biker’s endurance. Cyclo-cross racing merges both road racing and mountain bike racing, often featuring hybridised bikes. Participants are tested in their ability to navigate a racecourse of tarmac, sand, dirt, mud, jumps and obstacles (that sometime require dismounting and shouldering your bike!) in a race against other competitors. These events are for those who relish physical challenges and want to push themselves to another level of skill. Bicycle moto-cross (BMX) racing takes place on a 350m dirt track featuring slopes and berms with specialised BMX bikes. BMX bikers have to negotiate these physical barriers with speed and accuracy to be able to advance to the next round. A base level of physical fitness is recommended if you want to join a race. Remember to start small and build up to bigger events. Being comfortable with at least three hours of recreational bike riding is a good start. Wearing a heart rate monitor while you’re riding can be useful to gauge your pace and performance. Also, timing yourself every time you ride enables you to monitor and improve endurance. Increase your ride time and distance over the course of your training. Experienced bikers sometimes ride for six hours on a weekend trip. Pace yourself and change up the tempo of your routines so that you can work on being fast without causing strain. It’s important to attend several recreational group rides before attempting to join a race. Riding alone on a cycle path is very different to riding shoulder to shoulder with other competitors who are trying to overtake you. Group rides allow you to get used to riding at high speed amongst other cyclists and you will learn how to position yourself in a pack. Training starts weeks before, not days before. You need to build up muscle endurance weeks before racing. You should focus on doing leg exercises: deadlifts, leg presses, and squats. If you have an exercise bike you could try and fit in 15 minutes of intense aerobic activity every morning. Your body has different needs in training periods. Eat more muscle-building and complex carbohydrate foods while you’re in training. Supplement your body’s needs with sports drink and energy bars when riding. Familiarity is a key factor to successfully completing the race. If you can, visit the course a few weeks before the competition; study the track, find out the difficult areas and danger spots. Practice on similar terrain or on the track itself to develop strategies for the difficult and dangerous spots. If you’re unable to visit the track in advance, try to get the course map or analyse the track on google-maps. Get some background about the previous races and find out what the finish times were for other riders in your group category. If there are YouTube videos of the race, watch and study those to learn strategies from other bikers. Adjust the pedals, seats, and handlebars to the way you plan to use it on race day. You need to set up your bike in the way you intend to ride it during the competition. You need time to get used to this setup. Most competitions require participants to get a licence to race so acquire this ahead of time. Often there is a race fee you need to pay in order to join and rates vary depending on the organisers. Having race jitters is normal, even if you’ve been preparing for weeks, and it’s going to be a tension-filled day for everyone; whether it’s someone’s first or tenth race day. There will be people who are feeling nervous just like you. Need to gear up your bike for the race? 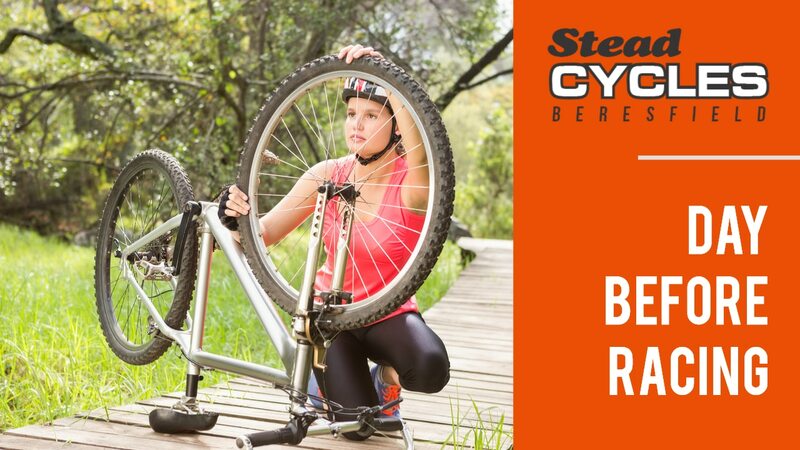 Check out what’s in store at Stead Cycles! 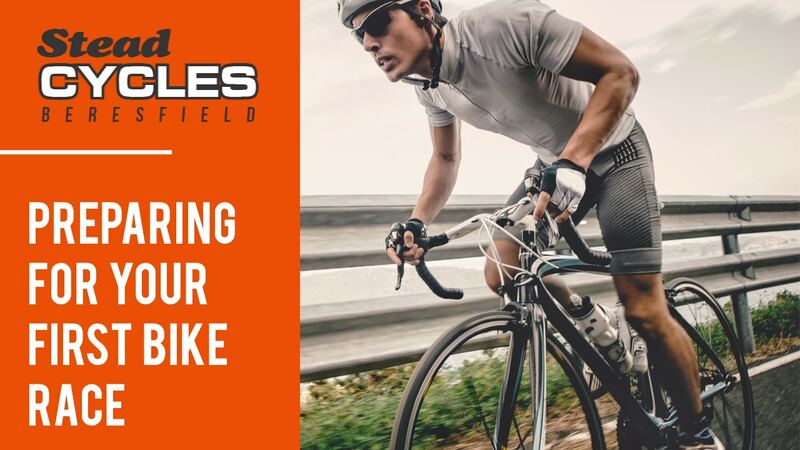 Call or email us: we’re happy to talk and assist you on how to set up your ride for your first race.